Buddha's birthday is a holiday observed by Mahayana Buddhists. It celebrates the birthday of Prince Siddhārtha Gautama, the founder of Buddhism. In many east Asian countries (except Japan) it is celebrated on the 8th day of the 4th month in the Chinese calendar. According to the Buddhist tradition, Siddhartha Gautama was born in Lumbini (present-day Nepal) to King Śuddhodana and Queen Māyā. 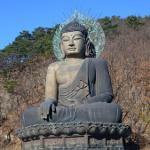 His mother died soon after his birth, and Siddhartha was brought up by her younger sister. The legend tells that after the Prince's birth, an astrologer prophesied that Siddhartha would become either a great king or a holy man, depending on what he saw outside the palace grounds. The King wanted Siddhartha to inherit the throne, so he prevented his son from leaving the palace. Nevertheless, Siddhartha managed to venture beyond the palace and see the suffering of ordinary people. At the age of 29, he abandoned royal life and began a spiritual quest, eventually achieving nirvana. Buddha's Birthday is an official public holiday in Macau, Hong Kong, and South Korea. Its date in the Gregorian calendar varies from year to year and can fall from the end of April to the end of May. Each country has its own name for this festival as well as specific traditions. For example, in Korea temples are decorated with lotus lanterns. On the day of the holiday, many temples provide tea and free meals (breakfast and lunch) to all visitors.